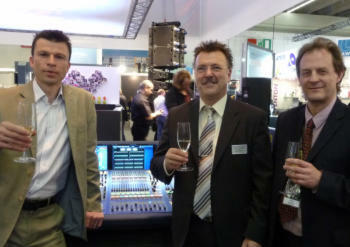 Midas and Klark Teknik have announced changes in their distribution network. 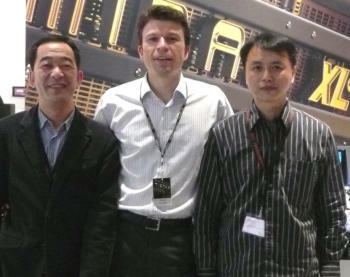 At prolight+ sound show 2009 in Frankfurt, Germany, Mega Audio has been appointed distributor for Germany, shortly after pl+s, Hong Kong based Rightway Audio was appointed distributor for Taiwan. Rightway Audio Systems, Midas and Klark Teknik’s distributor for China, Hong Kong and Macau, has also been appointed to handle the brands in Taiwan. Appointed in May 2006, Rightway has already sold 10 Midas XL8 Live Performance Systems and five PRO6 Live Audio Systems, and is a leading distributor of Klark Teknik, in particular the Square ONE range. “We’re very honoured to be expanding the brands across Greater China,” says sales manager Alan Wong, who will initially be handling the business from Rightway’s Hong Kong office and appointing dealers across the new region. © 1997 © 2009 Pro-Music-News. All rights reserved. Thank you for visiting Pro-Music-News.